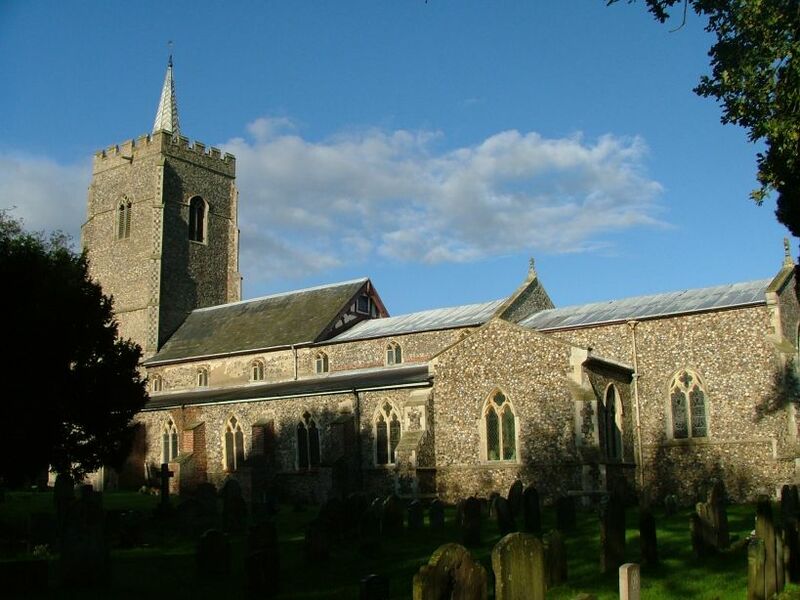 Hethersett is a suburban village between Norwich and Wymondham - presumably, inhabitants commute to both. St Remigius is a pleasing combination of a large urban church in a rural setting, despite the busy road that runs past it. It is away from the village centre, and is set back behind its carpark and a wide channel you have to cross by bridge. At first, I took this to be a dried up river, but it turned out to be a sunken turnpike road, something of a curiosity. 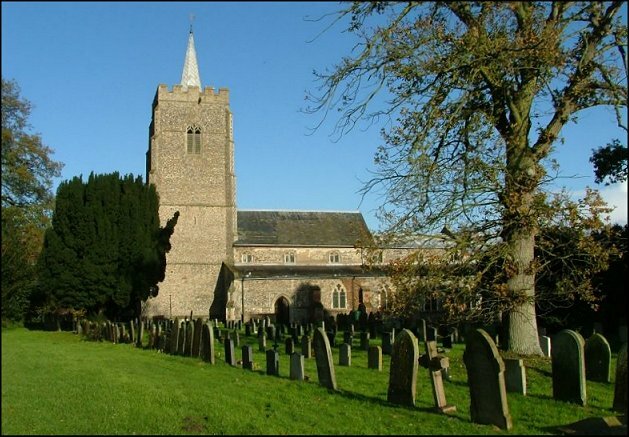 And St Remigius is also something of a curiosity; not least, the line of the nave roof. 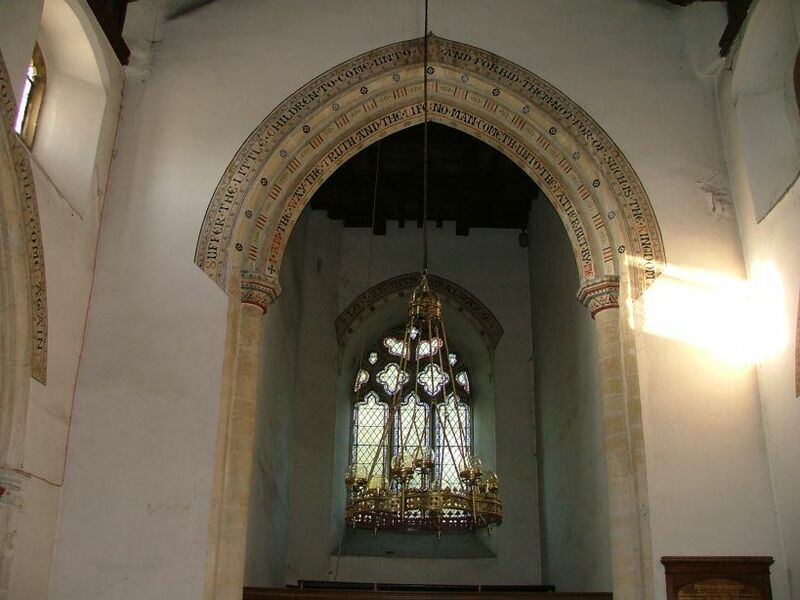 The western two thirds is much higher than the eastern third, with another drop again to the chancel. 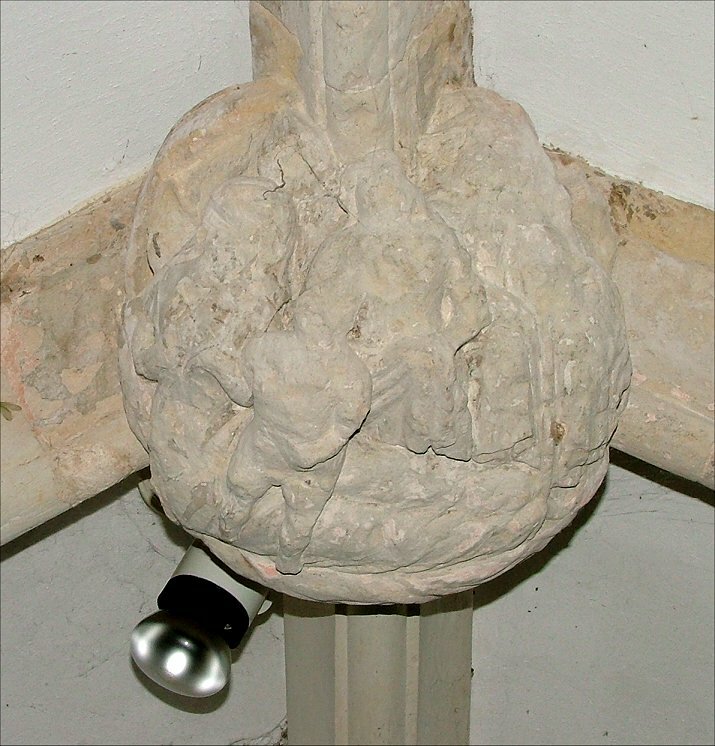 The reason for this is that the church was originally cruciform. 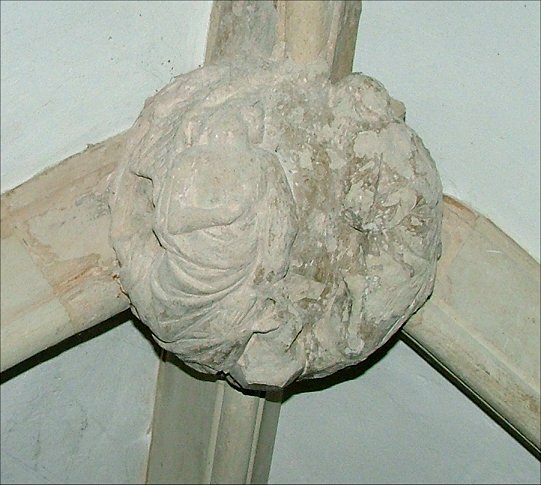 The lower eastern third of the nave roof marks the place where the crossing was. 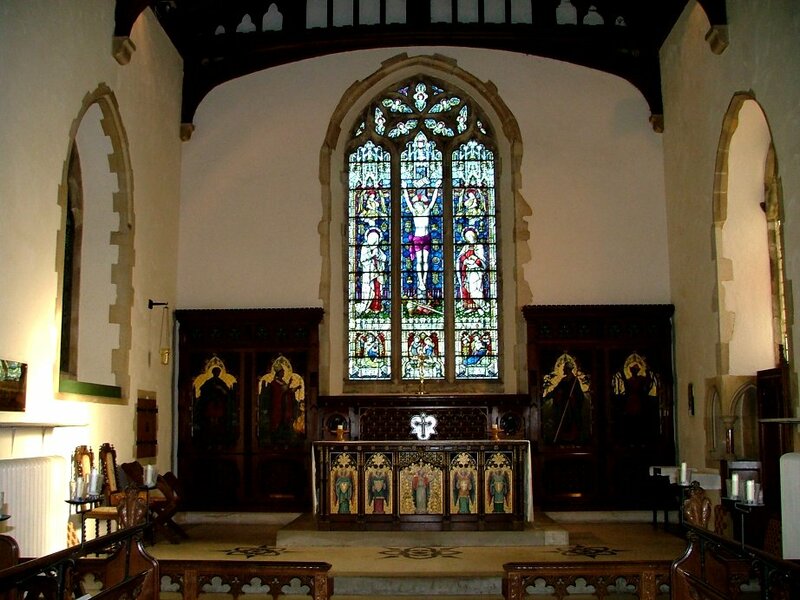 After the Reformation, the chancel fell into decay and was taken down, the space under the crossing serving as the new sanctuary. 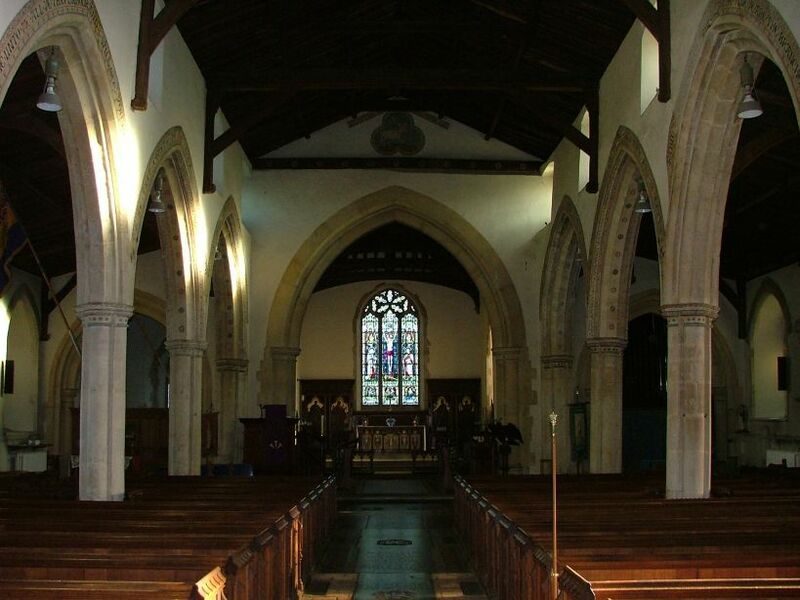 During the considerable 1870s restoration, the chancel was rebuilt on a rather grand scale, and the transepts were truncated and harmonised as eastward extensions of the nave aisles. 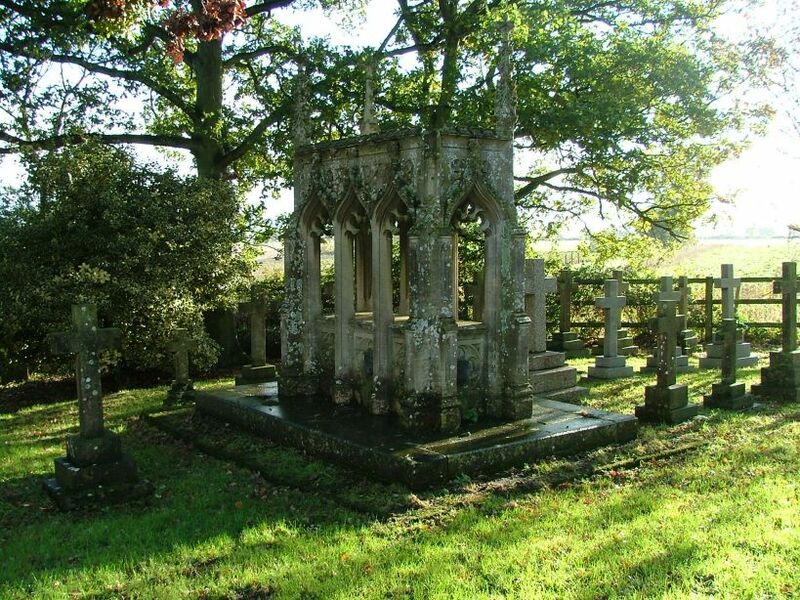 The southern chancel chapel is 19th century, although what it contains is much earlier. 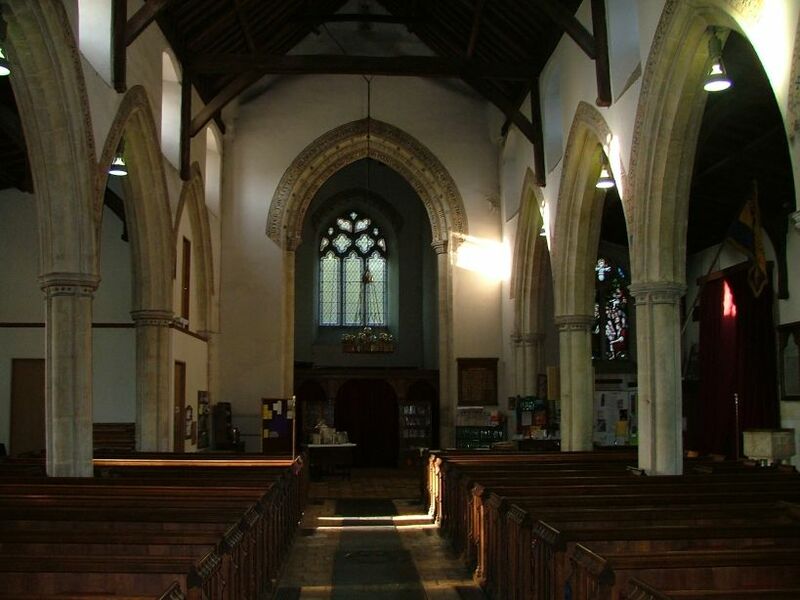 You enter through a south porch which is reminiscent of Wymondham. 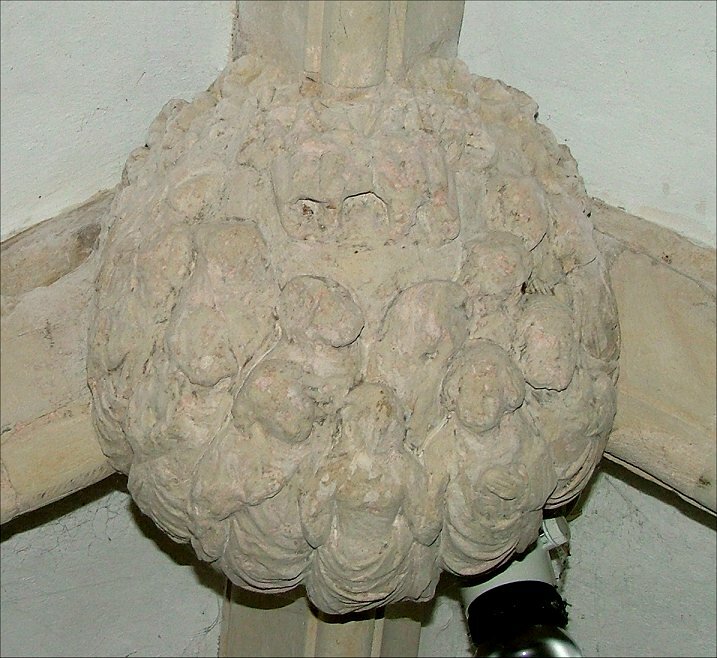 The roof bosses are strikingly similar, and are probably by the same hand; if anything, they are finer than Wymondham's. 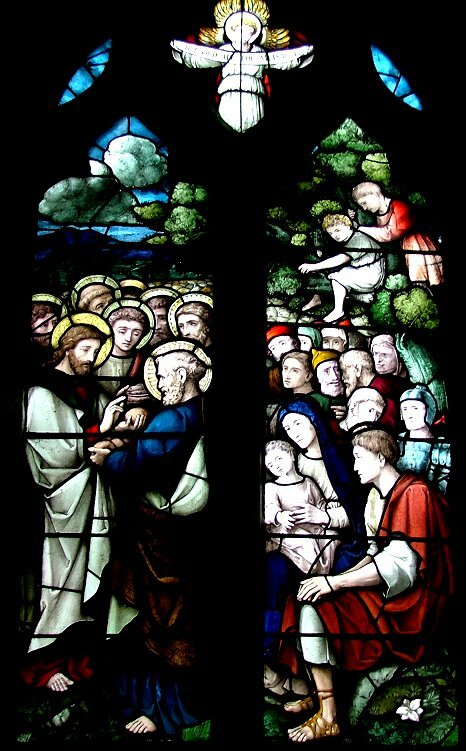 As at Wymondham, they show parts of a rosary sequence, incidents in the lives of Christ and his mother. 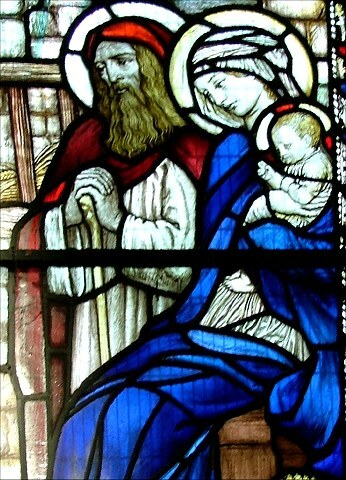 The finest are the Mother of God enthroned (above), and the three below, the Annunciation, the Baptism of Christ and the Ascension. The 1870s restoration was so drastic that very little medieval survived at all, apart from the bare bones of the building. 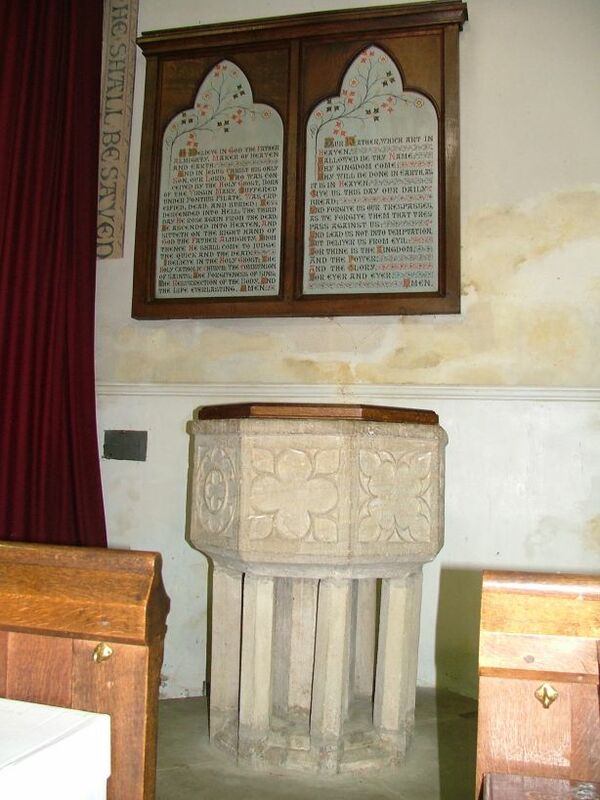 The late 14th century font is extremely good, eight unique floriated crosses on an octagonal bowl - curiously, it is set on nine columns in an Early English style, which is not a good look. Perhaps it is a Victorian confection. 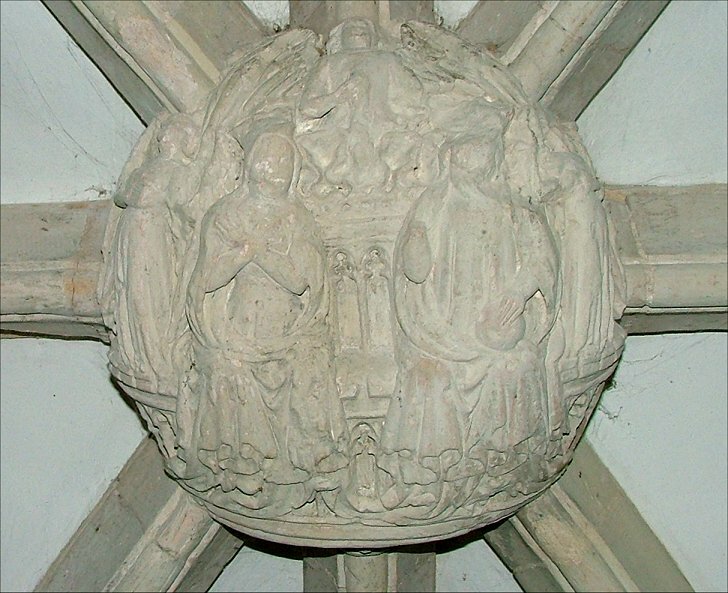 In the south chancel chapel they moved a 15th century memorial to the Berneys, the figures of a knight and his lady. Unfortunately, they placed the organ in front of it, and it is now kept locked, so I have not seen it. 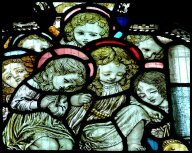 However, to visit St Remigius is to have an overwhelming impression of the last decades of the 19th century, and the first few of the 20th. 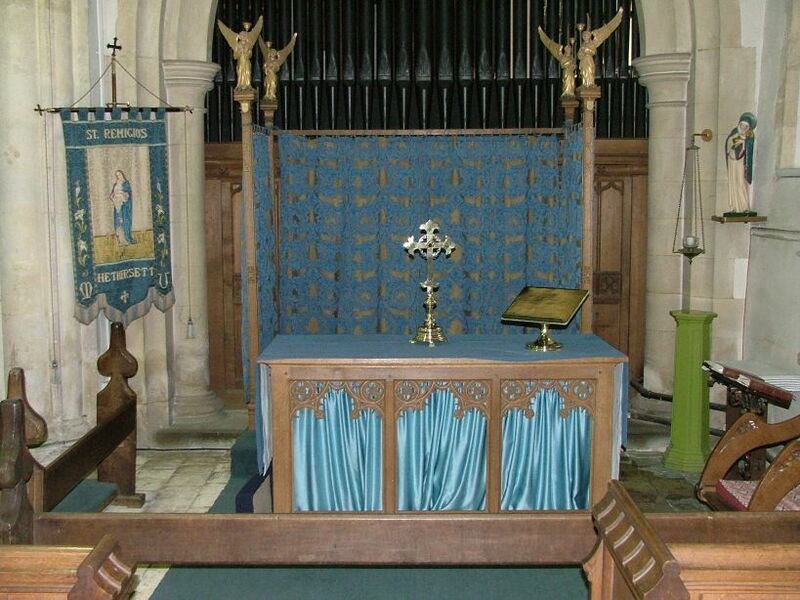 The chancel is very much of its time, the furnishings in that Anglo-catholic triumphalist style which was a development from mere Tractarianism. 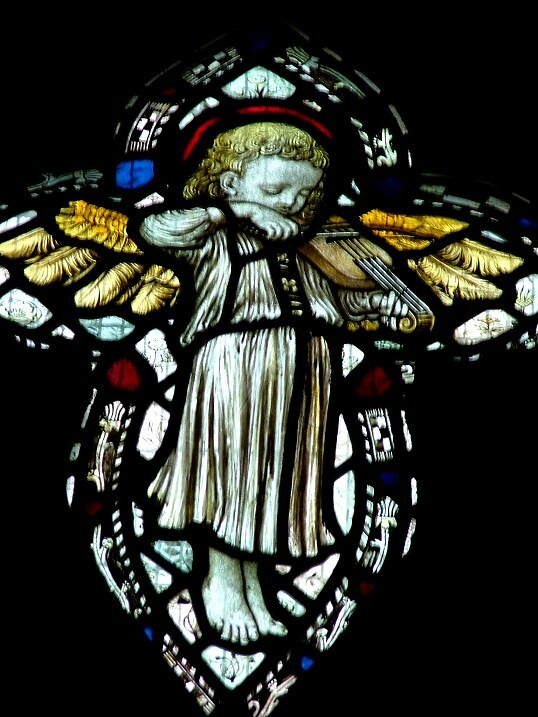 The angels bearing passion symbols on the front panels of the altar are good of their kind, but the figure of Christ is truly poor, the arms and legs completely out of proportion. 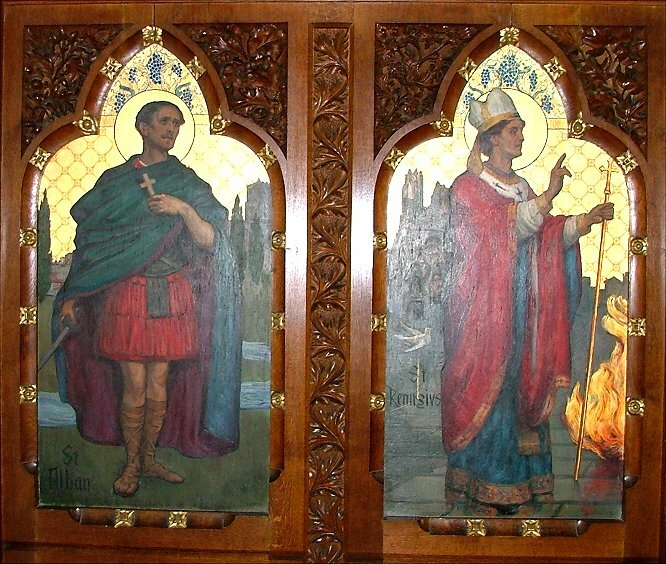 The larger panels of Saints that flank the reredos are also curious, though interesting in their way; I like St Edmund, who looks totally unfazed by his martyrdom; he leans against the tree in a gesture that is almost languid, as if he is about to light a cigarette and smoke it. 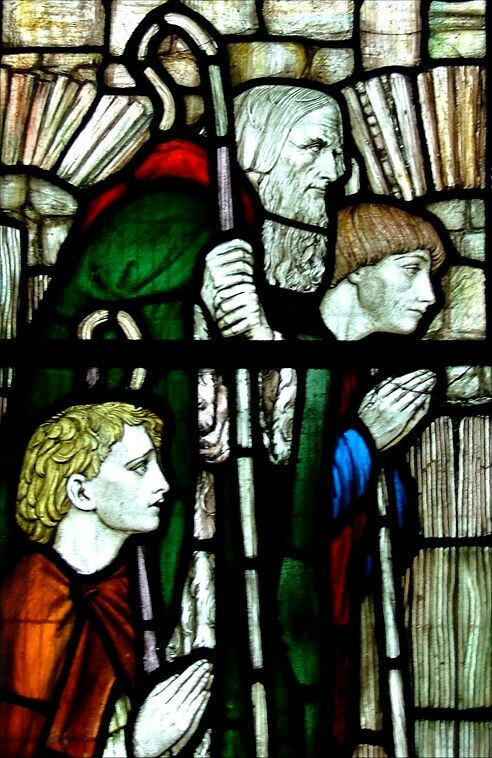 St Felix is stoic beside him. 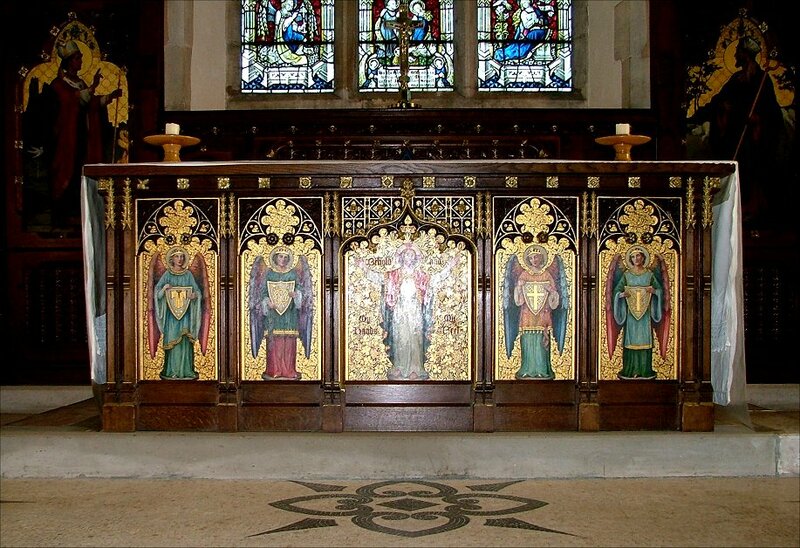 Across the reredos is the current patron of the church, St Remigius, who was made Bishop of Rheims at the age of 23; he is stately as he blesses the Franks. 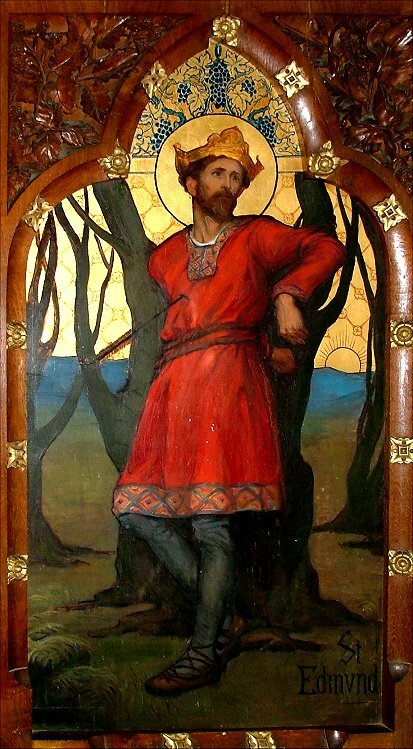 But St Alban, the English proto-martyr, looks the very height of campness to the left of him; his martyred expression is almost a smirk. 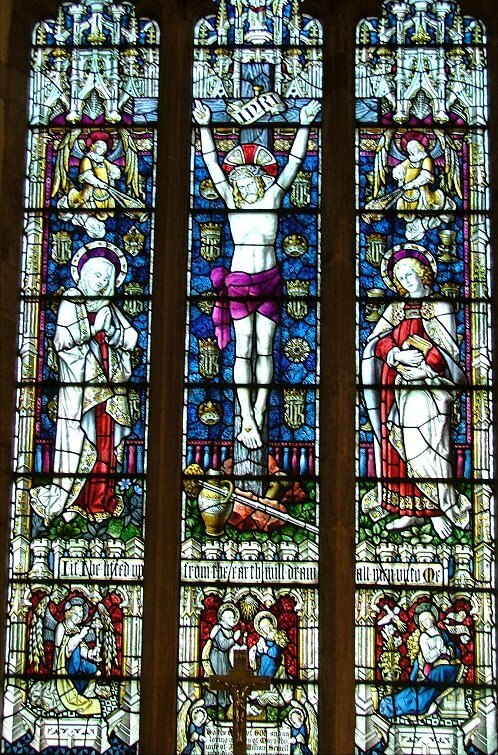 It all seems a million miles away from the simplicity of modern Anglican spirituality. 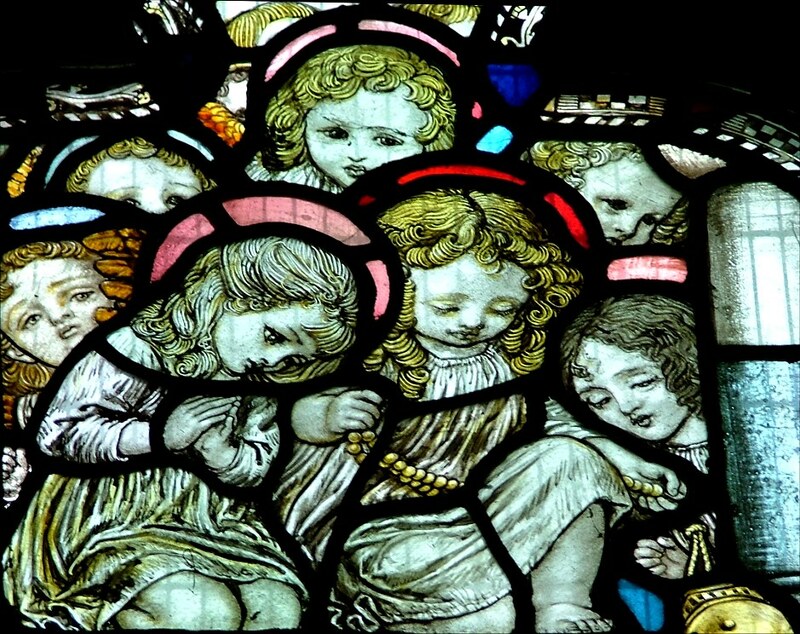 Once you turn your back on the chancel, however, you discover that Hethersett is a treasure house of 19th and early 20th century glass. 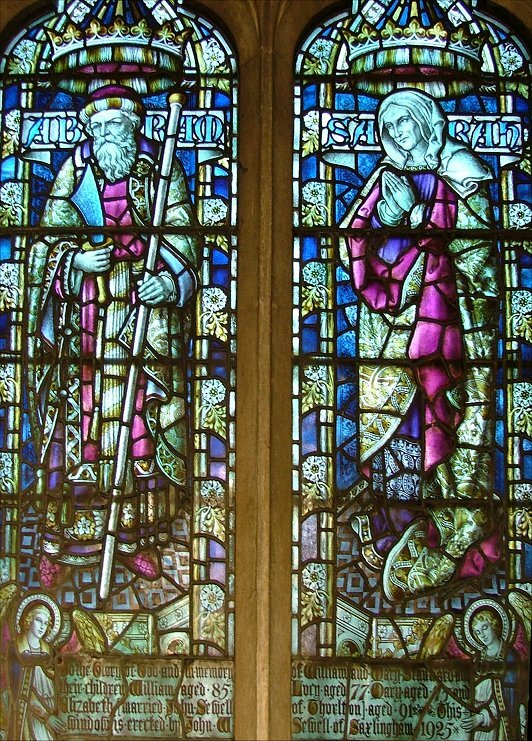 Some of it is very good indeed, including a breathtaking 1920s Abraham and Sarah in blue and purple glass. 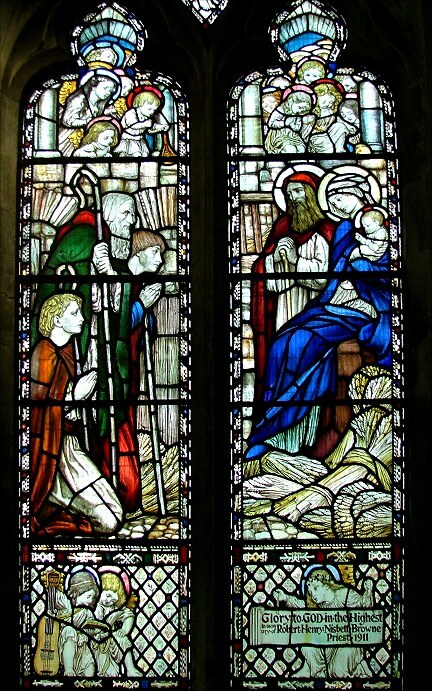 But the best of all, and probably the best glass of its date anywhere in East Anglia, is Anning Bell's 1911 Adoration of the Shepherds at the east end of the north aisle. 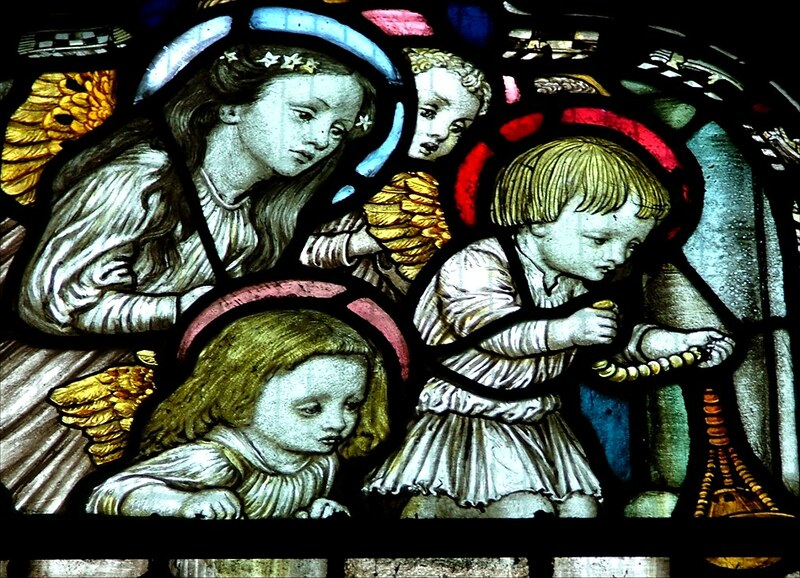 The shepherds fill the main left hand panel, the Holy Family the right, and then everywhere else there are silent angels, watching, wondering. 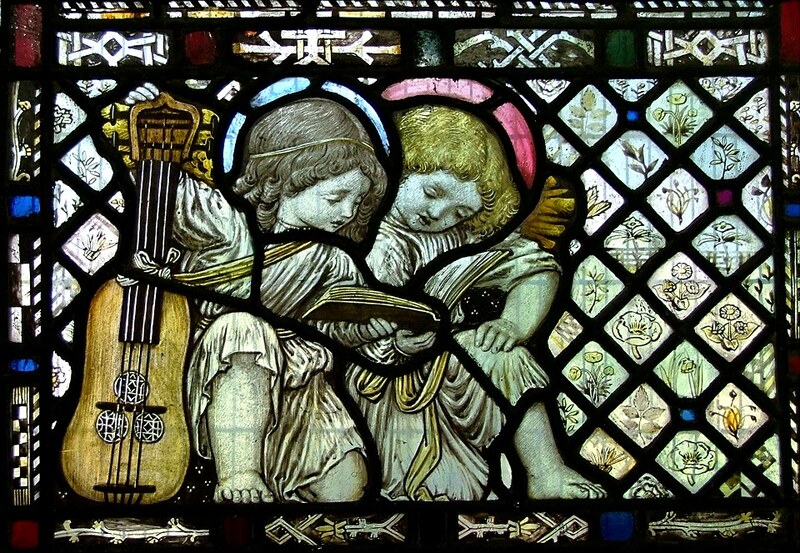 It is simply, stunningly, beautiful, and you can see details of it, as well as the window as a whole, below. 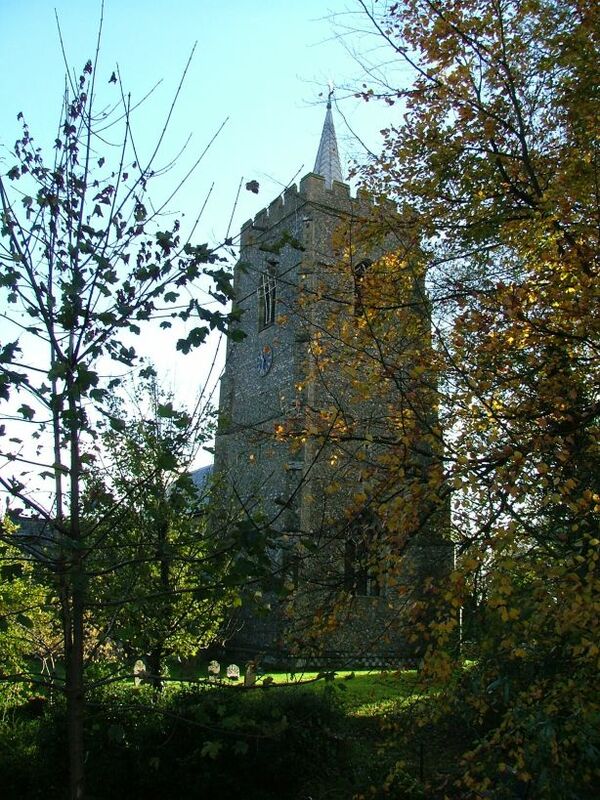 St Remigius is one of those churches that manages to convey how active it is; despite its sitting on the periphery of the village, it feels as if it is at the heart of the spiritual identity of the place. I was lucky enough to meet the Rector, and I got the impression fairly quickly that she is probably the main reason why. 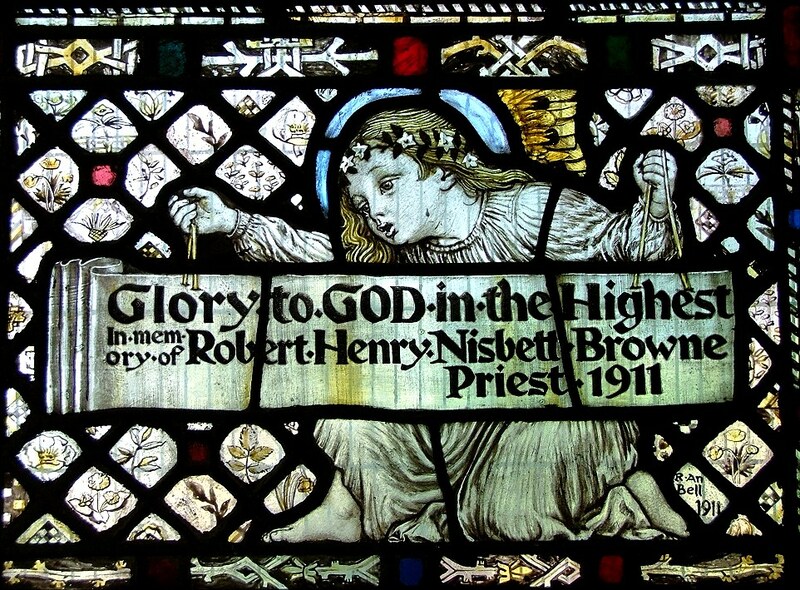 One of the first wave of woman Priests, she seems to have carried on with the energy and enthusiasm she started with. 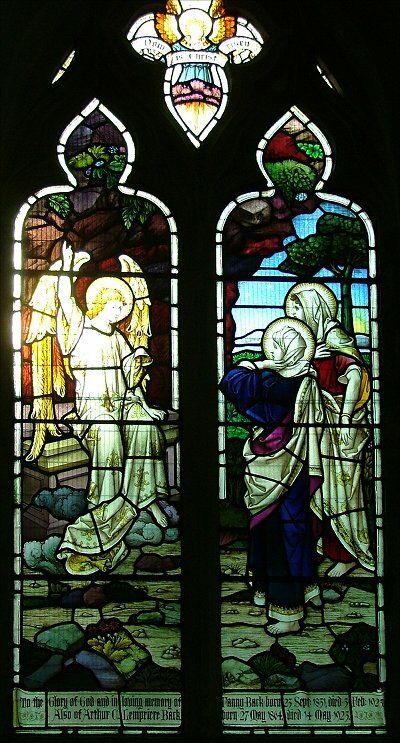 As at one of her other churches, Little Melton, there is an ambitious conversion plan for the west end of the church which reflects this enthusiasm, is well-thought out, and will, I think, be an adornment.